The General Assembly of Australian phosphate importer Incitec Pivot was visited by a dead camel. 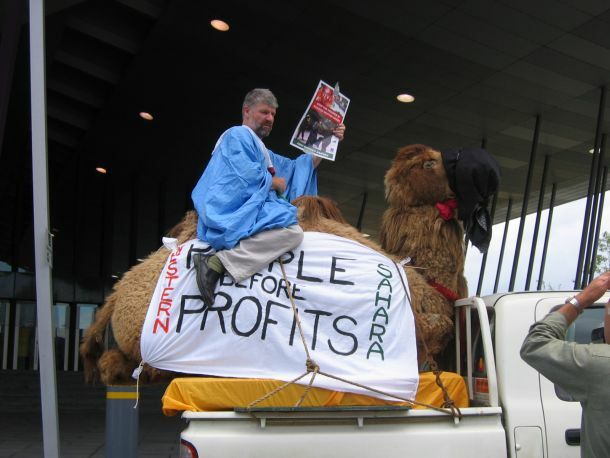 Ron Guy, sitting on a stuffed camel, at the General Assembly of the Australian phosphate importer, Incitec Pivot. John Watson, the chair, and Julian Segal, the CEO (chief executive officer) of the company.